In addition to the campaigns in my portfolio, I regularly work with our leadership team to ideate, develop and pitch new business creative. Below is a sampling of some recent work. Please keep it hush-hush. Living in the city’s great. Except for the landlords and neighbors who turn into kleptomaniacs when your packages arrive. The rigid return policies requiring boxes, tape and labels. And discovering that the ONE thing you need today will cost you three Uber trips and an afternoon you’ll never get back. That’s why Amazon Pickup is designed around you, your schedule and your needs. Everything is secured. 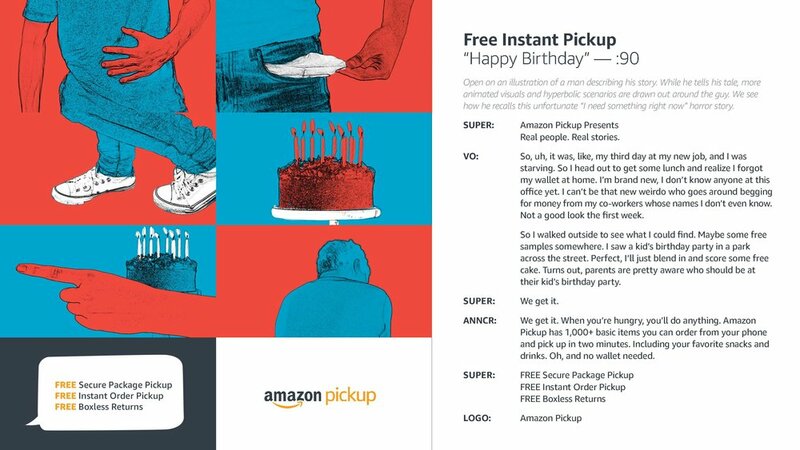 It can be picked up when it’s most convenient – including instant, same-day pick-up. And returns are box-free, label-free and carefree. When it comes to shopping, we get what people in the city need. And Amazon Pickup’s about to make living there even greater. This campaign’s art style lends itself well to graffiti. So, we’ll create graffiti murals around the city as advertisements. 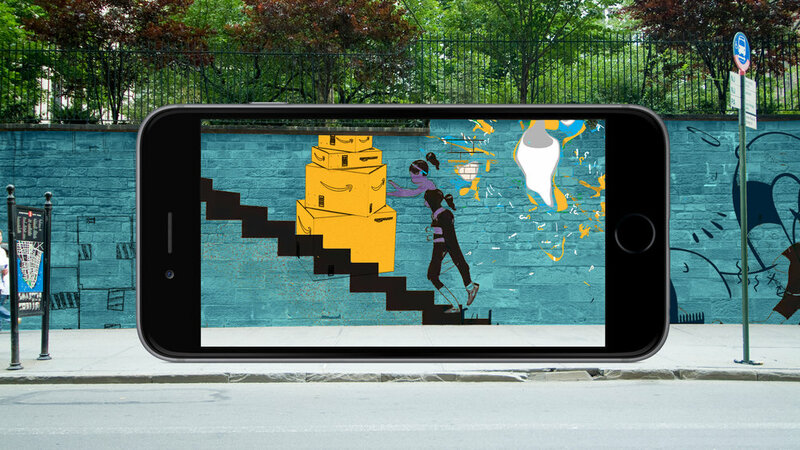 As an added twist, we’ll bring these murals to life through augmented reality. 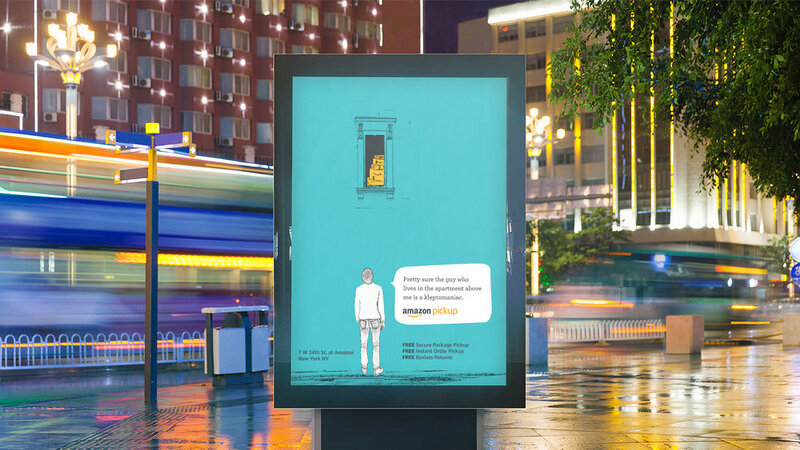 Creating a cool user experience through art, technology, and advertising. we serve it. Heck, even our bread comes in five flavors. Andno one – literally no one – offers more flavorful options and combinations than Subway. Subway makes sandwiches. Let’s blow them up, capture it on ridiculously high frame rates, play it in reverse and watch all the delicious ingredients come together with big epic visuals. Everything gets shot on a colorful family of seamless backgrounds to compliment the ingredients and personality of the sandwich. Create socially shareable videos utilizing the reverse explosion of the sandwich to increase flavor appeal. These beautiful looping food shots produce the same satisfyingly hypnotic feel common in most viral gifs. Closely feature beauty shots of each sandwich in one long panoramic post. Users scroll across as if it was one sandwich but each frame includes separate ingredients highlighting the range of unique flavors. Ingredients fall gracefully across the screen filling it with flavor. Users watch the finished product assembling deliciously in the header image. 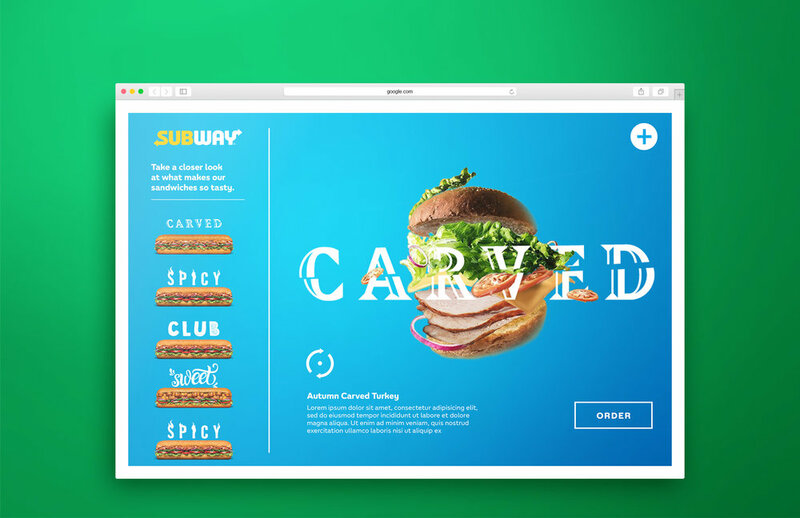 Build a microsite giving users an up close look at the flavors that make up each sandwich. Users will be able to rotate sandwiches 360 degrees and learn about the tastes and ingredients used in each. A LEGO birthday party is much more than just LEGO-themed. It’s a Star Wars party, or a Princess party, or a Star Wars-Princess-Pirates-in-the-Arctic Party. LEGO birthdays encompass the imagination, customization and freedom that LEGO has always been known for. With children’s passions always changing and evolving, LEGO is a constant that can help parents keep up with their kid’s imaginations. And only LEGO allows parents to throw the perfect party for their child — seamlessly combining all of their interests — even if that means a party with multiple themes. So let’s bring that idea to life and show both parents and children that with a LEGO birthday party, Everything is Possible. Any parent who’s thrown a LEGO party — or attended one — understands the huge amount of research, planning, purchasing and photographing involved. And while the smiles and memories make it all worth it, the toll it takes on people’s time and energy is notable. And fortunately, avoidable. An Invite tool to create customizable “movie trailers” about your kid’s party based on theme, date and location which you can email or share on social media. We’ll show short, fast videos that start with a single LEGO birthday theme in words with a matching LEGO character below. As more themes animate onto the name of the LEGO birthday party, the LEGO character will reveal more and more mixed-and-matched body parts. It’s a smart, fun way to reveal how you can customize your party with LEGO Birthday. Using Facebook Canvas, we create an interactive experience that lets the user combine LEGO characters to find the best mix for their kid’s next birthday party theme. The “PLAN” button at the bottom of each unique combination links to the corresponding page on LEGOparty.com. Let’s say you’re on Pinterest and type in “LEGO Party Ideas.” We’ll create promoted pins saying “Planning a LEGO party? We can help!” That would promote a brief questionnaire — Child’s name? Favorite themes? Areas of interest? — and begin feeding tailored pins to a new, truly customized “Party Board” based on your answers. Like Spiderman-NINJAGO-Simpsons party ideas than even show your child’s initials on a cake, napkins and posters. It’s a dynamic way to cut through the overwhelming amount of pins out there with LEGO-created content that’s meant just for you. How many characters and themes can a LEGO birthday party have? Enough to warrant a fun, interactive screen takeover experience. 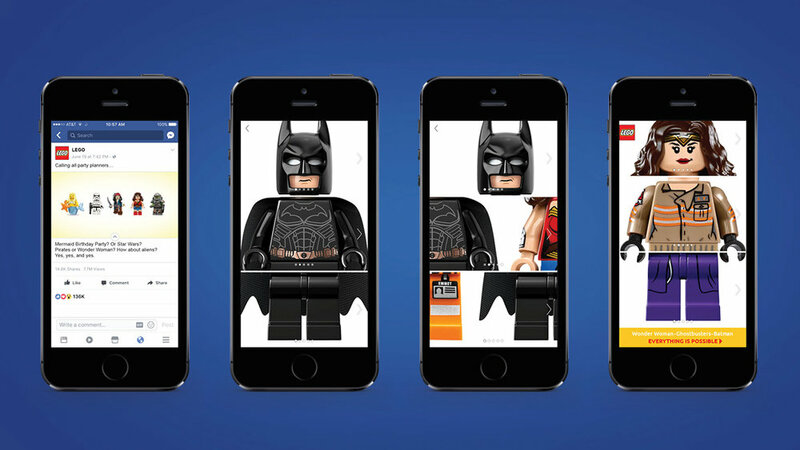 We’ll create an initial standard web banner that invites viewers to see just how many options are available — and every time they click, more and more LEGO minifigures populate the web page, until they — and the banner — completely take over the screen. We’ll then see CTA messaging inviting viewers to go to LEGOparty.com and begin planning their own party. Choose three LEGO characters to hop onto a virtual conveyor belt in this expandable rich media banner. Then watch them fall through a series of other banners, including our Party Generator, and come out the other end as a mashed-up hybrid character. Affront to nature? Perhaps. Funner birthday party? Most definitely. From here, you’re taken to LEGOparty.com’s “Explore” page specific to your creation (i.e., Scooby-Doo + Star Wars + Batman). By partnering with online women’s magazines like InStyle, we can seek out our target moms in unexpected places. 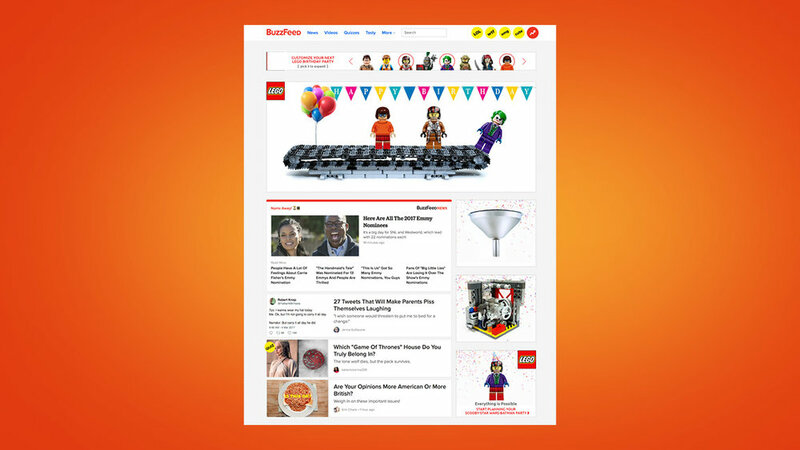 We’ll catch their attention with humorous spoofs of the site’s popular segments by adding a fun LEGO Birthday twist. There's a lot more to explore.